Crazy price !!! Phone 1300 859 969 for pricing. Delivery to Sydney, Melbourne, Brisbane, Adelaide, Perth, Canberra and regional towns & cities in Australia. Phone 1300 859 969 for pricing. SpeckPumps Eco Touch Badu M3 $798 Crazy price !!! 76% of running costs of your pool are from single speed pump only. suitable for 37,000 to 94,000 litre pools. Save up to $800 a year on running costs. 3 Years warranty on motor / 2 years on mechanical seals. Order now on 1300 859 969. Few units remaining. Zodiac V3 4WD Call now to find CRAZY PRICE !!! Normally RRP $1,878.00. Brand new - Completely robotic, Light weight - Plug and play - high energy efficient - High suction capacity - 18 m cable - Clean up to waterline - Extragrip to overcome obstacles like suction lines and steps. Call us on 1300 859 969 for the best deal. Few units remaining. Plus all sorts of ancillary pool & spa supplies, such as blankets and rollers, pool lights, ladders and rails, controllers, jet systems, waterfalls and rainwater harvesting systems. 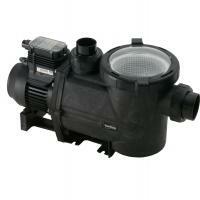 Hundreds of pool & spa pumps from a large number of manufacturers can sound confusing. Please phone us for advice on toll free on 1300 859 969 and we will make your choice easy. Now your product selection becomes more complex as you now have the three distinct types of filters: sand/media, cartridge and diatomaceous earth (D.E.) compounding your dilemma. How you use your pool and your desired maintenance time will dictate which product is best for you. Please call or email us for advice. Same simple solution. 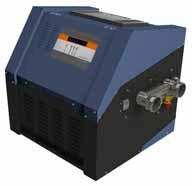 As with pumps, if you don't know exactly what you need, just Contact us. We stock electrical and gas heaters but a solar pool heater should significantly reduce your pool heating costs. A flow control valve - automatic or manual device that diverts pool water through the solar collector. Because chlorine can also be broken down by the sun itself, maintaining proper chlorine levels can be a daily chore. Even more often when it's raining or you're partying. Using an automatic chlorinator will save you time and hassle by delivering a precise amount of chlorine to your pool's water in conjunction with your filter system and pump. You can choose either a salt chlorine generator or liquid chlorine feeder to help keep your swimming pool clean and free of algae. We stock a large range of pool cleaners from 9 manufacturers. Booster pump-driven cleaners. These require a booster pump, a timer and a dedicated poolsweep line. Popular examples include Aqua-Quip's Legend Truck, Legend Platinum and Jet Vac as well the Polaris 280. Pressure side cleaners. These cleaners do not require a booster pump but should have a dedicated poolsweep line. The Aqua-Quip Legend 2 and Polaris Vac-Sweep 360 are pressure side cleaners. Suction cleaners. These cleaners do not require a booster pump or a dedicated poolsweep line. They are often plugged into the suction port of a skimmer. Among the more popular suction cleaners are several from the Kreepy Krauly and Baracuda ranges along with the Hayward Navigator. Robotic cleaners. 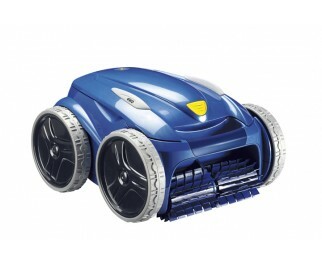 These models feature low-voltage motors with an internal microchip that allows you to program their cleaning patterns. Some 'sense' the size and shape of your pool and go their own ways, usually pretty efficiency. Although they've been around awhile, only recently have they become affordable. Hurlcon and Poolrite make robotic cleaners. Please have a browse. And if you need more information, all you have to do is Contact us. Melbourne Pool Shop is part of the Swimming Pool Warehouse group of online stores. Free advice, quotes & sales Ph 1300 859 969. Swimming pool products suppliers. 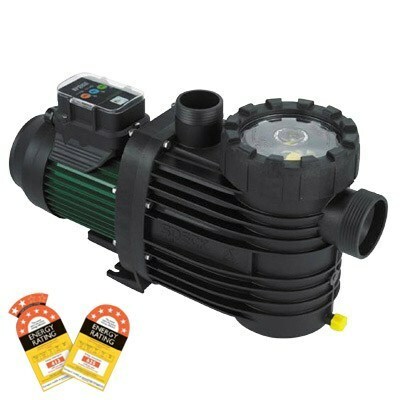 Buy the best products at lowest prices - pool and spa pumps, solar heaters, sand, cartridge or D.E. filters, chlorinators & cleaners.